Nov 28 Today is #GivingTuesday; Donate to Voices! Today is #GivingTuesday, and we would love to have you join AAJA Voices on this global day dedicated to giving back to causes you support. 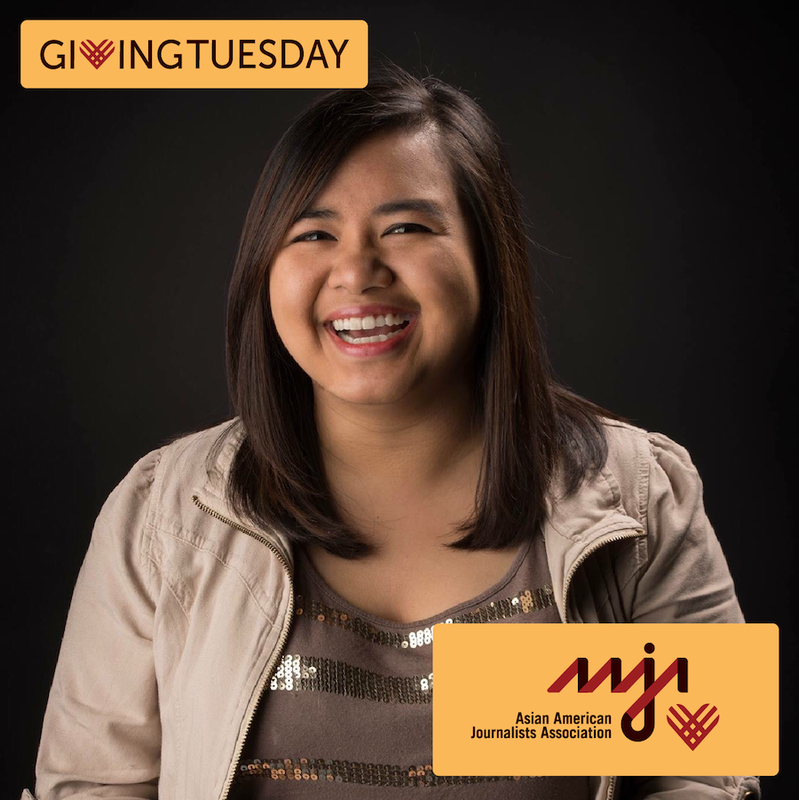 On Instagram, use the hashtags #GivingTuesday and #WhyIGive and share why you give to AAJA. Remember to tag @aajaofficial or @aajavoices. 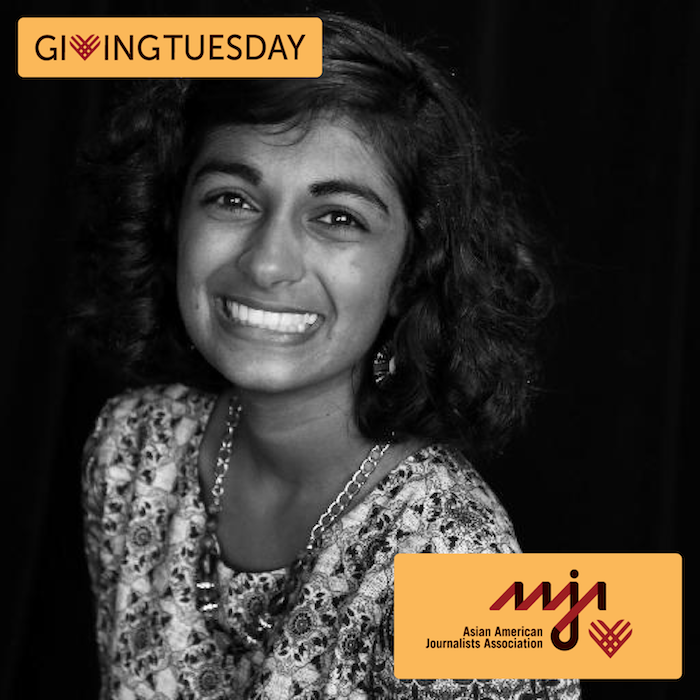 Then, tag three people to share their AAJA giving story. 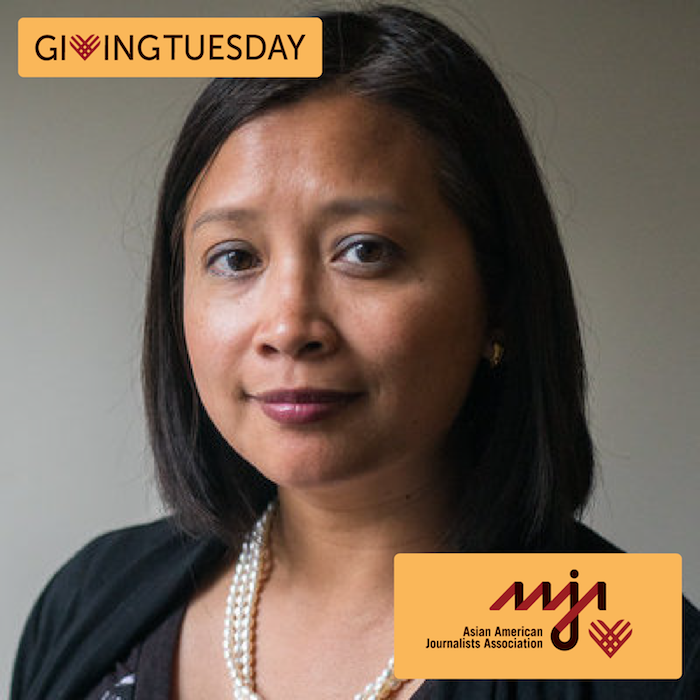 On Twitter, use #GivingTuesday, tag us at @aaja or @aajavoices and share our donation page link: bit.ly/donate2AAJA. For almost three decades, AAJA Voices has impacted hundreds of students and mentors. "When it comes to diversity issues in newsrooms, a Next Generation Fellow summed it up succinctly: how do we help public media (and newsrooms in general) look and sound like America? I thought I found one way to help with a tweet from AAJA National, which called for mentors to join AAJA Voices, a training fellowship for college and graduate students. As a Voices faculty mentor, I had blast training Rachel Ramirez, Nour Coudsi, Jasmine Espy and the rest of the Voices team and helping them thrive before, during and after the convention in Philadelphia. I know AAJA has created a critical talent pipeline for journalists of color with Voices and all newsrooms need to tap into it now." "I did the AAJA Voices student project two months after graduating from college. Walking into convention, I thought I had everything figured out — my career trajectory, my hopes and dreams. But this group of mentors and peers challenged me to expand my skills, experiment and think big about my life and journalism's future. I'm so thankful for the inspiration and support system I still use today." Mar 22 Class of 2017: Where are they now?